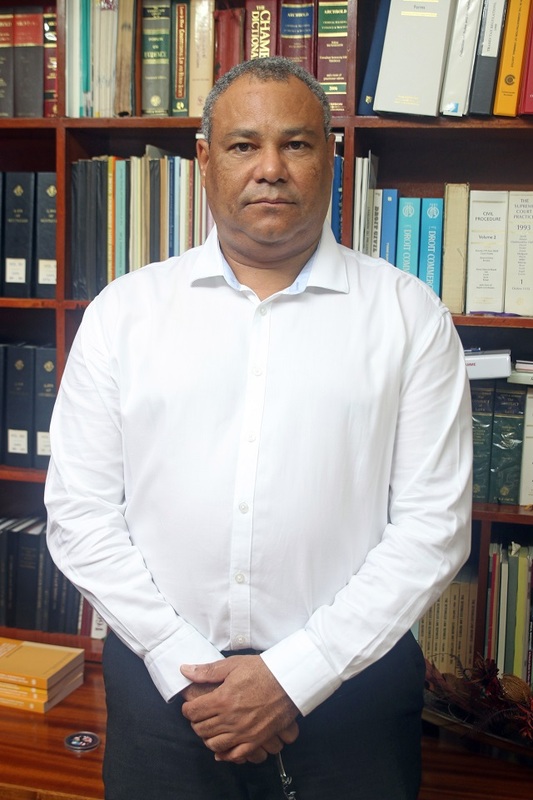 (Seychelles News Agency) - Frank Ally became Seychelles' new Attorney General in October after being appointed by the president. 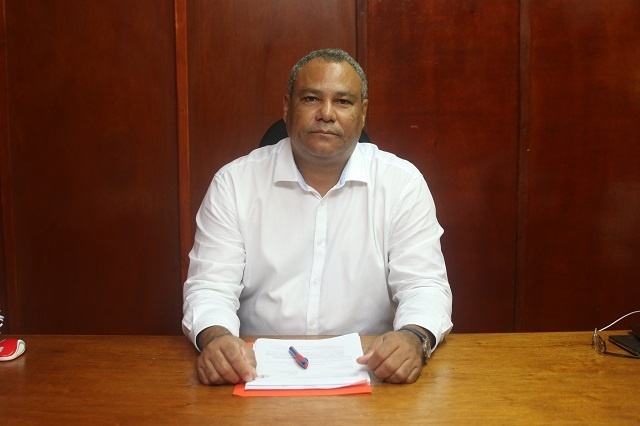 Ally, who has been an attorney for about 18 years, joined the Attorney-General’s Office in January 1996. SNA met with Ally at his office to learn more about his new role, objectives and how he wants to transform the organization. SNA: Was becoming an Attorney General one of your life’s dream? FA: Initially, no. It was never my intention to be an Attorney-General. In fact, my intention was to work with the AG’s office for seven years and go up to Principle State Counsel. Unfortunately, my career in public service was curtailed short. SNA: What is your role of the Attorney General? 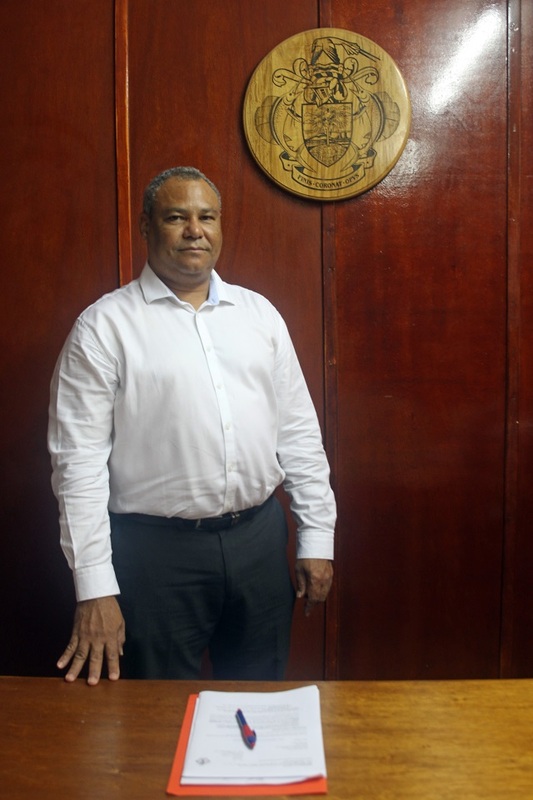 FA: My role is to be a principal legal advisor to the government and provide the highest standard of professional legal services to department, agencies and offices. We also initiate all criminal prosecutions once the police, the Financial Intelligence Unit and the Anti-Corruption Commission have investigated criminal offences. We have the ultimate power to discontinue criminal prosecutions if we feel there is the need. Another role is to represent the government in all civil matters and drafting of legislation. SNA: Does your office have the power to deal with the case of the missing $6.7 million found in the report of the Auditor General? FA: First of all an investigation should be carried out. Once that is done, a file will be sent to us. Every offence is subjected to a complaint and someone must lodge a complaint with the police or relevant bodies. Based on that they will investigate and then the docket is sent to us to look at. At present, I have not received a file on the missing money and therefore cannot proceed with legal action. SNA: There have been instances where legal practitioners have not agreed with the AG. How are you going to address that? FA: I think some of the decisions that fuelled disagreements among legal practitioners are related to cases where criminal prosecutions lack sufficient evidence and on advice given to the government on legal cases. I would like to do my level best to ensure that government get proper legal advice as we leave in a country which advocates the rule of law. This is what I preach to all the State Counsel working in these chambers. SNA: What do you think of the criticism that evidence presented before the court by state prosecutors are sometimes not substantial enough to make a strong case? FA: There would always be criticism. Sometimes the decision that we make to charge somebody is based on the case filed that we have. However, when we go to court, the circumstances might change. This is why we have the police to investigate an offence. The AG’s office looks at the evidence that the police has collected. The decision whether a person is guilty or not is decided by an independent and impartial court. SNA: What are your views on the legalisation of marijuana and gay rights? FA: This is a policy decision that government has to take and once it does our office will only be able to advise on what sort of legislation needs to be enacted to render such rights. SNA: What happens when there is a criminal charge against the Attorney-General? FA: The AG being the one who institutes criminal prosecution should avoid being subjected to a charge. I am placed in a situation where I should never commit an offence or I will be instituting the criminal prosecution against myself. If it so happens, the case will come before a junior officer to file a lawsuit against me. Nobody is above the law and if I commit a serious offence I would have to resign immediately. SNA: Do you feel that the office of the Attorney General has been able to achieve most of its objective? FA: I would say yes, to a large extent. It has been a functioning office providing legal services to the government. On the matter of criminal prosecution, I believe the Attorney General office has undertaken a lot. SNA: What do you think about law reforms remaining exclusively under the AG’s office? FA: The legislative power rest with the National Assembly. It is parliament that decides if a bill will be passed or not. However, the AG’s office plays a pivotal role in the drafting of legislation that government wants to put before the assembly. There are certain laws which may require certain reform and for this, we need to set up a team of lawyers, who will be able to comb the existing legislation. It is my long-term intention to do this exercise to see if there is a need to modernise our laws. SNA: In the past, you have been seen on the opposing side of the political spectrum, how do you see yourself now working with the government? FA: It all boils down to legal arguments -- one day you represent a plaintiff on one issue, the next day you are representing the defendant on the same issue. I have done a lot of cases against the government, but they were interesting and necessary cases. For instance, the SBC Act where the government failed to enact a law with regards to state broadcasting. SNA: How do you envision the institution going forward? FA: We need to modernise our chambers and bring in more employees as more ministries are being created. They will all be seeking legal advice and we need to do that in a timely manner. We need to have a more modern legal drafting section. Also, we need to have a section on its own to deal with criminal prosecutions.